But this time it will take place closer to home. The city announced a plan in 2015 to reduce imported water 50 percent by 2025 and produce half of the city’s water supply locally by 2035. A vision also supported by the local water utility, Los Angeles Department of Water and Power (LADWP). And it’s not just a pipe dream. “When we set that 50 percent goal we knew it was ambitious, but we also really feel like it’s achievable,” said Liz Crosson, director of infrastructure for the mayor’s office. But a new report from the University of California, Los Angeles, thinks the city could do more. The report is the fourth in a series aimed at helping to provide the city with research to drive an integrated water management strategy. Mark Gold, the associate vice chancellor of environment and sustainability at UCLA and one of the report’s authors, said sourcing 100 percent of the city’s water locally could even be possible. But it won’t be cheap, easy or quick. The city would need to maximize local water supplies from stormwater capture, recycled water and groundwater, the latter of which in many cases would also need to be cleaned of pollutants. And the city would need to up its conservation efforts. “It’s not something that would happen overnight but if you look at the next 25–30 years, it’s something that definitely is possible,” Gold said. There’s quite a difference between possible and probable, though. Right now Los Angeles gets the bulk of its water from three faraway sources: Owens Valley, the western side of the Sierra Nevada via the beleaguered Sacramento-San Joaquin Delta and Rocky Mountain snowmelt, diverted from the Colorado River before it heads to Mexico. As climate change impacts the timing and amount of runoff in the West’s mountains and pressure for limited water resources increases, developing a more local water supply would increase resilience and reliability for L.A. The city and LADWP share a commitment to increasing local water supply for the city, but Crosson said that 100 percent local water is not on the city’s immediate horizon though “it’s definitely something that the city will consider and take a hard look at” while it ramps up efforts to meet its goal of 50 percent local water supply. One of the first areas of focus to increase local water supplies is groundwater. The San Fernando Valley has a massive groundwater basin, but it’s been polluted for decades with contaminants from the aerospace industry and other industrial sources, said Crosson. Programs like the federal government’s Superfund haven’t proved effective at tackling the problem, said Gold. So water districts and municipalities are now taking matters into their own hands because the cost of pumping and treating the contaminated groundwater is now comparable to imported water prices. “It’s really on us to do a large-scale remediation project,” Crosson said. The city recently broke ground on the first of four new remediation projects to clean up the groundwater basin that will eventually provide water for up to 800,000 households a year. These kinds of efforts are a “transformational change” in the region, said Gold. 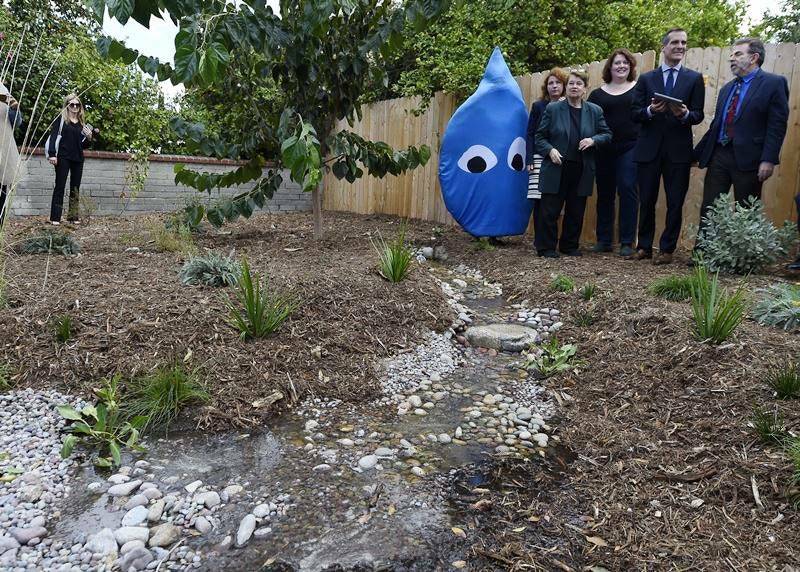 Clean groundwater is important, too, because part of the city’s long-term water plan is to treat more stormwater and recycled water, which can be used to recharge groundwater. “If we are going to put more water into the groundwater, we need to make sure we have these treatment facilities to be able to use it,” said Crosson. 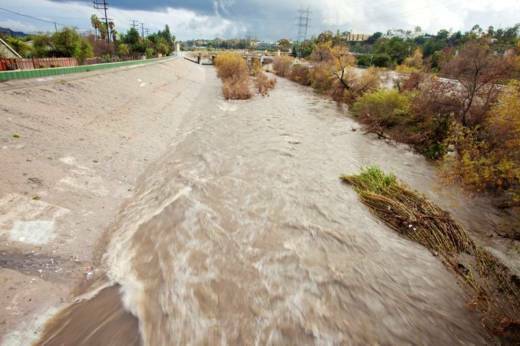 Stormwater is one area in which the city needs to focus more effort and where UCLA’s report is particularly helpful at identifying potential opportunities, said Crosson. “We’ve been able to identify funding for groundwater remediation, we’ve been able to acquire funding for recycled water projects and we’ve done well in being able to support campaigns to educate folks about water conservation, but stormwater is difficult for municipalities across California to be able to fund,” she said. Because stormwater flows across jurisdictions, it requires coordinating with multiple municipalities and agencies across the entire watershed. Of particular note in the report is that it doesn’t factor desalinated seawater into the city’s future water portfolio as a way to augment local supply, as other California cities have done, such as San Diego. For a seaside city with little rain, desalinated ocean water might seem like a good investment. But the numbers don’t add up, at least not yet, said Gold. Recycled water and desalinated brackish water are cheaper, he said, and use less energy, have a small carbon footprint and fewer impacts on marine life. Less energy and fewer resources can be used transforming coastal water treatment plants into water supply plants, he said.